How Do I Know If The Home I Just Purchased Has Bed Bugs? Only a few years ago, this question would not have even come up, but with the speed at which bed bugs are producing and spreading nationwide, it is becoming a very common question. So, how would someone know that after closing escrow, that bed bugs were not lurking around inside of the home you are about to move your family, pets and all your worldly possession into? The answer is pretty simple. You don’t. Well, unless the home has been checked for bed bugs by an inspector that knows what they are doing. But then again, finding bed bugs in an empty home that has been recently cleaned, painted and scrubbed is close to impossible for any human regardless of how well they are trained on finding bed bugs. What if the previous owners had a bed bug situation and there were eggs behind the baseboards, wall voids or under carpet edges? The only way you would be able to tell is after you and your family move in and they hatch and come out in search of a blood meal. Someone in your family will start showing signs of bites – or then again – maybe they are immune to the bites. As you can see, this is not an easy situation. You would be surprised at how many people wind up having this situation occur and now have the added expense of treating the home for bed bugs right after moving in. Sure, you could call the realtor or the broker and complain, but they can easily turn the tables on you and say, “We didn’t see any signs of bed bugs and the previous owner denies having them so you probably brought them with you”. Yes, that’s when the finger-pointing starts. He said, she said, you must have, not my fault, they probably did, we didn’t have them before, and so on. Now … what “if” the house didn’t have bed bugs, but during a showing, a prospective buyer that has bed bugs happens to sit somewhere in the house and drop off a couple? Now who’s fault is it? See where I am going here. Bed bugs are one of those types of bugs like head lice, where no one knows exactly where they came from, but it had to be someone; but try to prove it, you can. Bugs of any kind all start somewhere! And like head lice they make their way around every year in schools but they started somewhere. You can spend your life trying to figure it all out and I bet ya can’t. So don’t waste time attempting to figure it out, but create something that will provide a solution so this doesn’t happen. In other words, be preventative so that it doesn’t happen to you. So, what’s the solution and how can you be preventative? First, in our professional opinion, all real estate agents and brokers should be well versed in bed bugs to protect their clients and watch for possible problems before they list a home for sale. As a prospective buyer, ask for a written report that the house is free and clear of bed bugs BEFORE you move in. This is something every buyer should be asking for. As a real estate agent or broker, make an inspection part of the closing documents to protect you, your clients and buyers. All these people demand a termite inspection to keep from “unseen damage clauses”; bed bugs should be no different. Suppose, they are under carpet edges or tack strips, in wall voids or behind electrical outlets and there are no visible signs? What “if”, the trained inspector misses bed bugs, well hidden in a home? Since human accuracy for finding bed bugs in hidden areas is very low and unreliable, detection dogs are trained just like the dogs that are used to find drugs, bombs and other contraband. 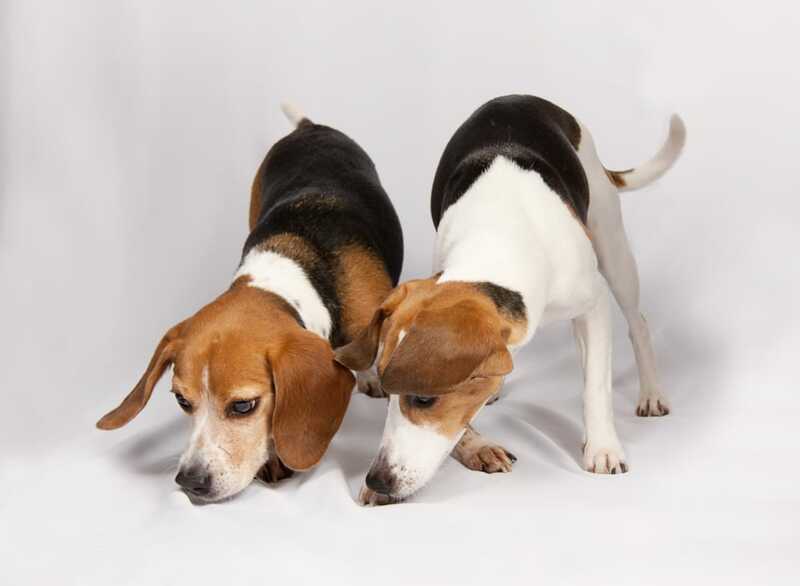 Dogs’ noses contain a superior olfactory organ, are excellent at finding bed bugs in inaccessible areas, and can pinpoint the exact areas of concern for targeted treatment. This alone saves people so much money not having to tent or treat whole houses. That’s what we’re all about! We stop the finger pointing and assumptions so you can move in or out of your home without the worry. For the past five years, we have been conducting extensive bed bug searches for many homes, and businesses. Our search canines go through vigorous weekly training sessions to keep them honed in on live bed bug scent – if you have a hidden bed bug problem, our dogs can help find them.